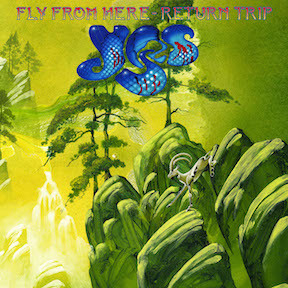 Fly From Here – Return Trip also contains a previously unreleased song, “Don’t Take No for an Answer” recorded in 2011, with Steve Howe on lead vocals. Additionally, the full-length version of “Hour of Need” is included. This has previously only been included as a Japanese bonus track. I’m not going to pile on like some folks on other sites have… I’m actually looking forward to this. However, it does seem a little underhanded to replace Benoit from the vocals and not even include a comment in the press release. “Hey, Benoit was great, but since I co-wrote much of this music I wanted to produce my take on it…” or something like that. Hopefully , YMP will get an advance copy to review. Looks like we get Trevor’s vocals, some overdubs, and some parts remixed. Sounds like much ado about nothing. Do the bonus tracks add anything? Have we been clamoring to hear what Yes would sound like if Steve Howe was lead vocalist? Most importantly, is this the legacy Yes wants for their 50th anniversary? A reissued record that’s a re-dubbed remix of that retro-cons the Yes line-up? It’s a true sequel to Drama! Benoit David? Who he? Pish posh! Thanks for posting this Kevin. 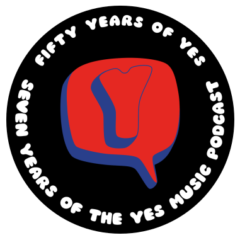 I’m grateful for something other than knowing a bit more about this re-release/re-hash, which will be interesting but not much to do with Yes50 really in my view. My gratitude is for your prompting me to look again at getting tickets for the Palladium concert following the afternoon convention. I am going to Birmingham (superb venue) and have a ticket for the fan convention but began to think I might regret not being able to stay on for the evening concert. You prompted me to click through to Yesworld where I found that although all the regular seats appear to be sold out for both London concerts, there were still some VIP tickets (not meet and greet) so I now have a seat a few rows back dead centre in the stalls! Yes indeed and many thanks Kevin! Thanks for posting this, Kevin. I’m not uninterested in this, but I find it only raises mild enthusiasm – I like the first version just fine, and have been listening to it for years (it was played during a couple of major moves, so it has special significance for me). In fact, it prompted me to finally pick up a copy of Drama, which I promptly fell in love with. I have no problem with Benoit David’s performance, and certainly nothing about it makes me wish it had been done by another vocalist. On the other hand, a friend’s long-standing issue with FFH has been what he considered a lifeless (if technically fine) performance by David, so maybe the perfectionist Horn’s vocals will make a difference after all. I’ll definitely get a copy, but debating which version – CD, vinyl, or download (since I already have the CD of the original). Incidentally, I don’t think this is supposed to be any kind of 50th anniversary release, it’s just a question of coincidental scheduling. Either that, or it’s the only thing they had ready to go to release in the anniversary year – though if that’s the case, they could’ve just held Topographic Drama over for a few more months.